Around one in three care organisations may stop providing services as new debts have made them unviable. Providers say they can't meet financial responsibilities imposed on them by tribunals. Care providers were surveyed on the implications of sleep-in carer pay tribunals, following the government's refusal to cover back-dated pay obligations. 67 percent of those who responded expect to have a budget shortfall in the coming financial period. Out of those considering different approaches to address the potential shortfall in funding, 56 percent are considering handing services back. 22 percent of those surveyed said that they would have to sell properties to cover the shortfall. 34 percent of those surveyed said that there would be a threat to the viability of their organisation if there’s a requirement from HMRC to back date payments to staff for two years. This figure rises to 68 percent (more than two in three) if the requirement is to back date for six years - as is required by current government guidance. Scope is the biggest provider that has already started withdrawing provision of all physical services, focussing on digital services and campaigning through a new strategy. “Care services allow people to live their lives," said Tracy Hammond from Learning Disability England. "Any cuts or funding gaps will undoubtedly affect the people they serve." "Those who depend on care services are already marginalised and this survey proves that the sleep-in pay crisis will result in vulnerable people having less choice and less control over their care – unless a solution is found quickly." Rhidian Hughes, chief executive of the Voluntary Organisations Disability Group (VODG), added: “This research confirms what many of our members have been saying for the past two years. This should not only worry the government, but also the hundreds of local authorities, Clinical Commissioning Groups and community NHS services that rely on these providers to deliver such vital services for vulnerable people." "The social care sector is facing an existential threat caused by sleep-in pay which is entirely due to unclear and changing government guidance. Being hit with an unexpected liability for back pay is unfair to the people who rely on care, but also care workers, local authorities and providers of these crucial community services." "The solution is simple: Government must fund all care work, including sleep-in shifts, at the National Minimum Wage and pay the back pay owed to care workers for the past six years." "Government rightly funds care services for our most vulnerable citizens and over the last six years has not funded them at the national minimum wage. Now, they must rectify their mistake. The care sector should not be forced to pay for a Government error – particularly when the future of the sector is in jeopardy." "Social care has been underfunded and undervalued for years. Now with the sleep-in pay crisis coming to a head, this may well be the final straw which forces disruption to care services throughout the UK if not outright collapse." The government previously asked the sector to provide evidence showing how the funding shortfall would impact disabled people. It has yet to comment on today's survey results. 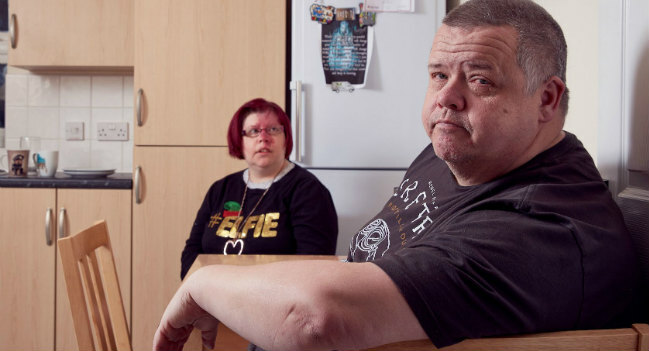 Image c/o Sense: Mary Ward and his daughter Kerrianne Ward have struggled to find a local care provider.